Digital services to delight, challenge, and transform. We think responsibly, ethically and strive to create beautiful, useful experiences. With a ‘people first’ approach, we are experts in Experience Design, Research & Testing, Service Design, Product Strategy, User Interface Design and Digital Development. We discover the why and how behind people's behaviours and integrate them into our solutions. We sketch, prototype, iterate, design and test to create ultimately useful experiences. We craft clean code to bring our research outcomes and interface designs to life. Social responsibility. Ethics. Accessible interfaces. Web standards. We strive to think responsibly about everything we do. This isn’t just a job for us. We’re geeks at heart and we love what we do. We don’t settle for mediocre. We go the extra distance, ask the right questions and strive for the best solution. We build digital products that solve real problems for people. Not the other way around. We believe in reciprocity and giving back to our community. Small is the new big! We’re a tight-knit team that loves the challenge of solving our clients’ problems. We harness the web to create useful things. Usable things. Delightful and meaningful things. We’re not just your agency. We’ll collaborate with you and challenge you to be your best. We’re in this together. Every alternate month we put on a meetup with technology and UX speakers discussing various geeky topics. 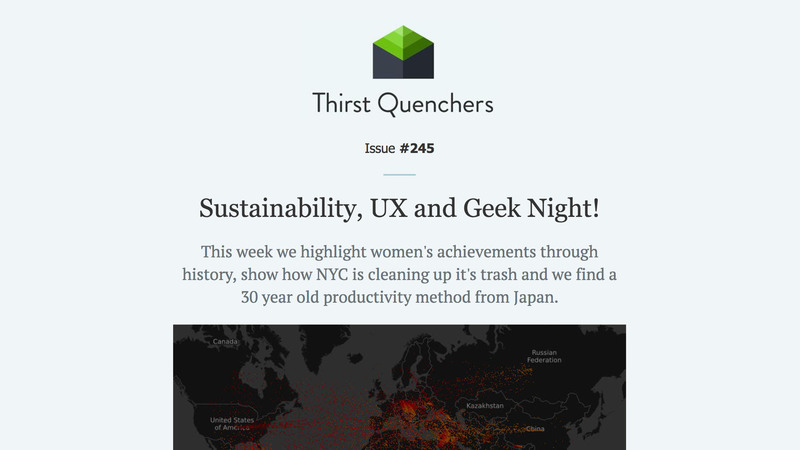 The team write up their thoughts on our Medium publication called Thirst Thinking. Ben Tollady and Gareth Roberts present around town about all things UX. Get in touch if you would like to book them for your next event.